Outdoor use: The Dog Room should not be placed in direct outdoor environments. If used outdoor, it is recommended that it is placed under a shelter on the porch or deck. Mattress: Dog beds are made from memory foam bamboo charcoal. Cover colour choices are olive green or musk pink. Description: The Dog Room is inspired by basic archetype of a house complete with pitched roof, and is a child's typical line drawn representation of a home. The Dog Room is made from custom aluminium frame and a series of plywood panels which is carefully detailed to create a distinctly clean appearance. 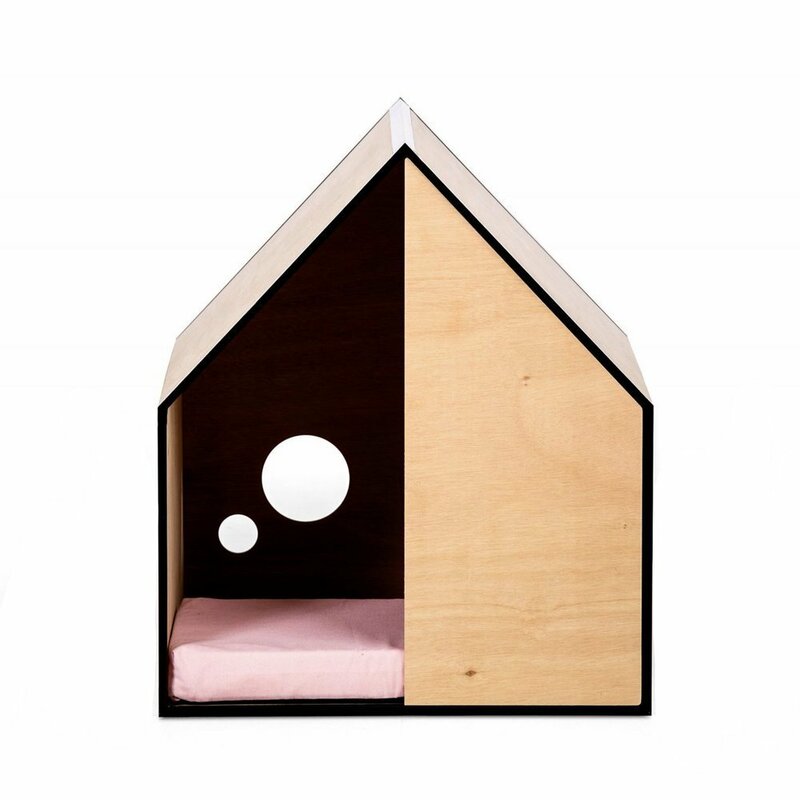 Available in OSB or Plywood the Dog Room also comes with a bamboo charcoal foam mattress in a cover option, olive green or pink musk.